Written by Fred Patten, and intended for Apa L, 2129th Distribution, LASFS Meeting No. 3577, March 2, 2006. Last Wednesday (Feb. 22nd) was a busy one for me. Rob Powell took me during the afternoon to Continental Home Care ("the wheelchair company") in Glendale, where I was supposed to have the brake extender fitted onto my wheelchair that would enable me to lock & unlock the right-hand brake with my unparalyzed left hand. Unfortunately, the extender they had received was the opposite one; for locking & unlocking the left brake with the right hand. They hoped to get the correct extender in a couple more weeks. At least we got a good look at the extender, and it does look like it should be just what I need, once they get the one to be operated with the left hand. It will lock & unlock both the left and right brakes at the same time. Since I cannot remember an occasion since my stroke when I needed one brake locked but not the other, I do not mind giving up the ability to lock & unlock them individually. Powell also loaned me the latest StarDoc novel by S. L. Viehl, Rebel Ice, which he bought when we were at Barnes & Noble a couple of weeks previously to get my Furry! anthology. A few hours later, I got an unexpected telephone call during dinner from Marc Schirmeister. Edd Vick was temporarily in L.A. from Seattle and wanted to know if it would be convenient for them to visit me that evening. They arrived about a half-hour later; not just Schirm and Edd, but Edd's wife Amy Thomson & their adopted daughter from China, Katie, now 6. They had spent the last couple of days at Disneyland, and were unfortunately returning home the next day so they could not attend the LASFS meeting. (Amy said to relay a 'hello' to Larry Niven for her.) We had a pleasant conversation, bringing each other up to date on fannish affairs in our respective cities and bewailing the replacement of traditional fanzines by the Internet (none of us have any confidence in electronic archives as lasting as long as paper). I was happy that my Furry! book is already known in Seattle, thanks to Seattle fan Chuck Melville, one of the authors in the book who, like me, could not wait to get his author's copy from iBooks but bought one right away. On Thursday, Michael Burlake brought me to the LASFS meeting. Again we got the handicapped parking space, and enjoyed lots of chocolate bribes from the Loscon 34 bidders. The fourth author reading was Larry Niven reading his "Breeding Maze", a Draco Tavern story from the September 2005 Analog and also in his The Draco Tavern collection published this January. The story is eligible for the Hugo, he reminded us. Several times. Kay Shapero brought me four more books from the L.A.P.L., and June Moffatt loaned me another murder mystery. In addition, Kay relayed from Lee Gold (who is still having mail forwarded from my old Culver City address to her home) an advance review DVD from Central Park Media of Otaku Unite!, "The First Documentary About Anime Fandom". This 70-minute movie premiered at the Philadelphia International Film Festival in April 2004 and has only been shown at film festivals and fan conventions since then. The DVD release is on March 7th. I have been waiting to see this because I am video-interviewed in it. I had forgotten about the interview at an anime con a couple of years earlier, until I began hearing from fans who saw the movie at cons that I am in it with a credit as part of the "Cast", which has even gotten me an entry in the Internet Movie Database as an Actor ("Frederick Patten, appearing as Fred Patten"). Now I can see it for myself. Also, Bill Winckler returned as a guest and he gave me a DVD of his Frankenstein Versus the Creature from Blood Cove movie. So I have plenty to read and watch for the next week or two. For those of you who haven't heard, unfortunately iBooks (along with Byron Preiss Visual Publications) closed its doors Wednesday (Feb. 22) and filed for Chapter 7 bankruptcy. The death of Byron Preiss last summer left both companies without the enthusiasm and leadership he'd provided, and they weren't able to get the financing they needed to continue. We're currently exploring some avenues to get more information about the liquidation proceedings, to see what will happen to their inventory, and to make sure that the publication rights revert to Sofawolf as our contract stipulates. We'll keep you posted on that. In the meantime, if you want to get a copy, I'd recommend purchasing online (from Powell's, Amazon, or bn.com) or check out Borders (the B&N near me wasn't carrying it, but one near you might be). We can't count on getting any contributor copies now, for obvious reasons. Yarst! Well, better two weeks after shipping the book to bookstores than two weeks before it was due to be shipped. It would really have been frustrating if the book had been printed and then never distributed. I already bought my copy of Furry!, but I wonder if I should get a couple more while it is still in the bookshops, in case I want extras in the future? This was the mass-market edition, but will it end up as rarer than the small-press edition? This article needs copyediting (checking for proper English spelling, grammar, usage, tone, style, and voice). Frederick Walter Patten is known for his work as an historian in the Anime/Manga and Anthropomorphic (or Furry) fandoms, where he has gained distinction through a substantial contribution to both print and online books, magazines and other media. Patten was born in Los Angeles, California on December 11, 1940 (Father: Beverly Walter Patten; Mother: Shirley Marie Patten (Jones)). He has two younger sisters, Loel Anne Patten (born 1943) and Sherrill Clare Patten (born 1947). He learned to read early in life, starting with comic strips in the Los Angeles Times and Examiner, and later was introduced to Walt Disney's Comics and Stories around 1945. Much of his early reading came from magazines and books, with an interest in superhero comic books as well. Science fiction became a key interest around age 9, and Patten began to collect books from Ace Books, Ballantine Books and other publishers around that time, as well as major SF magazines including Astounding, F&SF and Galaxy Science Fiction. In the late 1950s, he became involved in the science-fiction fandom. He entered the University of California at Los Angeles in 1958, and its graduate School of Library Science in 1962. He became active in the fandom after discovering the Los Angeles Science Fantasy Society in 1960. By the time he graduated with a Master's degree in Library Service in 1963, he had been writing for sci-fi fanzines and publishing his own for three years. His Master's thesis was on the books of Andre Norton. In 1972, Patten partnered with Richard Kyle to create Graphic Story Bookshop in Long Beach, California. 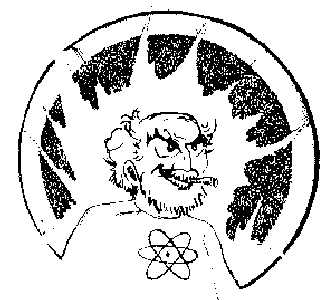 In an interview posted on the (now defunct) website of Pulp Magazine, Patten said he had discovered manga at Westercon, one of the largest science fiction conventions on the West Coast, in 1970 . At the time, he had been aware of television shows like Astroboy, but had no idea then that they were Japanese. Through his bookshop, he wrote to Japanese publishers, asking to import their manga, achieving some success and in the process becoming a pioneer in the anime/manga fandom. He was one of the founders of the Cartoon/Fantasy Organization, the first anime fan club, in 1977. During this time, Patten worked in numerous library positions, notably that of technical catalogue librarian at Hughes Aircraft Company's Company Technical Document Center (CTDC), El Segundo, Calif., from 1969 to 1990. After leaving that position, he served from 1991 to 2002 as the first employee of Streamline Pictures, one of America's pioneering anime specialty production companies, founded by Carl Macek and Jerry Beck in 1988. He has been a presenter at major conventions and guest lecturer at universities in the U.S. and Australia. Patten wrote numerous monthly columns and individual articles for Animation World Magazine, Newtype U.S.A., the Comics Buyer's Guide, and other magazines until March 2005, when he suffered a stroke. Unable to keep up his roughly 40-year sci-fi collection due to his health, he donated everything (almost 900 boxes of comic books, records, tapes, anime, manga, programs from science-fiction conventions dating back to the 1930s, convention T-shirts, paperbacks, and an array of sci-fi fanzines back to the 1930s) to the J. Lloyd Eaton Collection at the University of California, Riverside, which houses the world's largest collection of science fiction, fantasy and horror . This is a partial list of Fred Patten's long list of writing and editing credits, which have also included dozens of magazine articles for science-fiction, anime, manga and furry publications since the late 1960s. Watching Anime, Reading Manga: 25 Years of Essays and Reviews by Fred Patten. A collection of 63 articles on Japanese animation, comic books, and their fandom in America, published in various magazines between 1979 and 2004. Best in Show: Fifteen Years of Outstanding Furry Fiction, edited by Fred Patten. An anthology of 26 s-f & fantasy short stories by Brian W. Antoine, Lawrence Watt-Evans, Gene Breshears, Kim Liu, Watts Martin, Michael H. Payne, & others. Furry! : The World's Best Anthropomorphic Fiction, edited by Fred Patten. A retitled mass-market edition of Best in Show. Animation Art: From Pencil to Pixel, the History of Cartoon, Anime & CGI, edited by Jerry Beck. Foreword by Jeffrey Katzenberg. A history of international animation in all forms, by decades from 1900-1910 to 2000-2004. Fred Patten wrote the entries on Chinese and Japanese animation. The Animated Movie Guide: The Ultimate Illustrated Reference to Cartoon, Stop-Motion, and Computer-Generated Feature Films, edited by Jerry Beck. An alphabetical listing with critical reviews of all animated feature films released theatrically in the U.S. from 1926 through 2004. Fred Patten wrote the entries for Japanese and Korean animated films. Stories by Fred Patten have appeared in comics including Mangazine, The Ever-Changing Palace, Albedo: Anthropomorphics, and Furrlough (which included the series "Theriopangrams," in 36 issues between 1997 and 2003). Patten adapted into English vol. 2 through 7 of The Skull Man by Kazuhiko Shimamoto; created by Shotaro Ishinomori. Also a number of appearances in interviews on anime DVDs. Evans-Freehafer Award, 1965 - presented annually by the Los Angeles Science Fantasy Society, Inc., for service to the Society. Inkpot Award, 1980 - presented annually at the San Diego Comic-Con in various categories; "For Outstanding Achievement in Fandom Services/Projects". Ursa Major Awards, 2003 ("The Annual Anthropomorphic Literature and Arts Awards") - presented annually at an anthropomorphic convention in various categories; to Best in Show: Fifteen Years of Outstanding Furry Fiction, edited by Fred Patten (Sofawolf Press, July 2003); for "Best Anthropomorphic Other Literary Work of 2003". I promised to review this book from the Los Angeles Public Library. It is a 32 page picture book for young children containing two stories, "Uncle Wiggily and the Butterfly" (originally © 1915) and "Uncle Wiggily and the Little Hoptoad" (© 1930). The illustrations are new for this 1988 edition, and look "modern"; e.g., not like 1915 or 1930 period illustrations. So they are presumably not representative of how the stories may have been originally illustrated. Without any illustrations, these stories would undoubtedly be short enough to each appear complete on a single newspaper page, or half-page depending on the type size, as they were first published. "In 1910, Uncle Wiggily was created by author Howard Garis for a series of stories he wrote for The Newark News. The stories were so successful they were nationally syndicated for decades to come. ", to quote one website. The stories were immediately so popular that they were read over a telephonic precursor of the radio as early as 1912, and were broadcast over regular radio from its beginnings in the 1920s. According to the Internet information, Garis wrote new stories daily from January 1910 for the rest of his life. Since he died in 1962, the newspaper stories that Marty Cantor read in the 1940s could well have been originals and not reprints. Internet used-book sites show a number of stories published as individual picture books from 1917 on, particularly by Whitman between 1940 and 1953. One of them, Uncle Wiggily's Make Believe Tarts, has to be one of the same stories adapted for the Animal Comics comic book in the 1940s since I still remember its identical plot there - and, of course, both the Whitman picure books and the Dell comic books were produced by the same publisher, Western Printing & Litho. Anyway, in addition to the new stories appearing in newspapers, there were plenty of books with illustrations from 1917 on for Marty Cantor and Phil Castora to have read in their childhoods. The Los Angeles County Library has another book published by Platt & Munk about the same time as To the Rescue, Uncle Wiggily's Story Book, 1987, 247 pages, described as, "A collection of thirty-six stories about the adventures of a wise rabbit and his animal and human friends." The County Library recommends it as suitable for kindergarten through 3rd-grade readers. This book is also available used from Amazon.com, which conveniently reproduces the complete first story as a sample. The book has a World War I-era look to its typography (1st edition, 1921), and appears to be photocopied from a previous printing that is so worn that much of the type has broken serifs and some whole words are missing. Project Gutenberg has a free downloadable book, Uncle Wiggily's Adventures, for those who want to sample the stories for themselves. A quote from "Uncle Wiggily's Toothache" to show how inconsistent his rheumatism is: "'Only just long enough to have a nice adventure,' answered Mr.Longears, and away he hopped on his red, white and blue striped rheumatism crutch, with his pink, twinkling nose held in front of him like the headlight on a choo-choo train." Yet another book on Amazon.com is a 1997 Dover reprint of Uncle Wiggily Bedtime Stories (in Easy-to-Read Type), with 11 stories in 80 pages; not the same as Favorite Uncle Wiggily Animal Bedtime Stories, which was published the next year with 15 stories. Even if Garis did not literally write a new story every day from 1910 to 1962, there seem to be hundreds if not thousands of Uncle Wiggily stories, many of which are still available in collections. Road Thinigieitis - (Cantor) The brake extender that the wheelchair company showed us would require me to reach my left hand all the way across my body to operate it, since it was meant to be operated with the right hand. We need one that is meant to be operated with the left hand, which they said they will get. The connection to operate the right brake will pass under the wheelchair, not across my body. It sounds like you were shown a different part than the one they showed us. Godzillla Verses #76 - (DeChancie) Thanks for the congratulations on my Wikipedia entry. It is reassuring to have it confirmed now. ## Awww! We will miss you if you have to leave L.A. But living here is undeniably expensive, and we do want to read that Big One from you. It is hard to beat free room & board living with relatives. Please visit us often. I Gawkishly Wobble - (Gold) As we now know, the brake extender which the wheelchair company got was the mirror image of the correct one. But it does look like what I need once they get the one made to be operated by the left hand, which they said should arrive in a couple of weeks; so I am encouraged that what I need does exist & is now on its way here. ## The Danish flag is reportedly the world's oldest, and one of the most simple; a white "Scandinavian cross" on a red field. But if I saw someone wearing a Danish flag symbol, I would more likely assume that they are of Danish descent than that they are supporting Danish cartoonists or freedom of the press. I agree that the Volgograd newspaper sounds more worthy of support, but what kind of symbol of freedom would you show for that? ## See the above news of iBooks' demise. I was going to say to go ahead and ask iBooks why Furry! was published as Fiction/Literature rather than as SF/Fantasy, in case you could get more of a reply than Sofawolf Press could (no reply at all), but it seems now that it would be a waste of your time. (And thanks for sending me news of iBooks' bankruptcy, the day after Tim Susman did.) ## I do not know how having an entry in (on?) Wikipedia may affect having a much smaller entry on WikiFur. At the moment, they are both online. The Wikipedia entry does link to my webpage; please do ask Barry to add my webpage to WikiFur as well. ## The "Slip-on Brake Lever Extender" shown on the CarePathways.com website looks nothing like the more complex mechanism shown to us at the wheelchair company (which I'm sure costs more than just $10.99) that engages or disengages both the left and right brakes at the same time. MS Found in A(nother) Klein Bottle #34 - (Shapero) I still have a hard time thinking of a dream, or of the dreamer's psychological reaction to it, as being s-f or fantasy rather than as mainstream fiction. ## Yes, voles are cute. According to some dictionaries, voles and lemmings are different names for the same animal. Do California voles ever swarm like the Scandinavian lemmings do? ## I enjoyed The Pig Scrolls enough that I will probably read Paul Shipton's other books, too. De Jueves #1467 - (Moffatt) It would be an exaggeration to claim that Bambi 2 was spoiled for me, but I certainly would have enjoyed it more without all the restless, chattering children in the audience. ## I do not know what kind of tree the mistletoe was growing in in the desert, but I doubt it was an oak. It was Bĵo who identified the blobby green-gray mass in the dead branches as mistletoe, which was dying itself after having killed the tree in which it was a parasite. Luny Tunes #13 - (Castora) Africa is not the only continent on which fruit ferments on the trees, and elephants are supposed to get drunk by eating it. Indian and Bangladeshi newspapers both have reported problems with elephants getting drunk by eating fermented fruits and going on destructive binges, though other reports have the elephants getting drunk from raiding villagers' moonshine stills. Here is a report of the Moscow Circus on tour in Mongolia in winter giving its elephants two liters of vodka per day as an organic antifreeze - not approved by reputable veterinarians, to put it mildly. ## How can you mention silliness in Rhode Island without referring to Nibbles Woodaway, the nine foot tall, 58 foot long Big Blue Termite in Providence who has its own Wikipedia entry!? : I photocopied a long article about Nibbles from the Wall Street Journal here several years ago.